Harry How/Getty ImagesRajon Rondo is clearly not over his feud with Chris Paul. Rajon Rondo is not over his beef with Chris Paul, going off on the Rockets guard while speaking with ESPN. 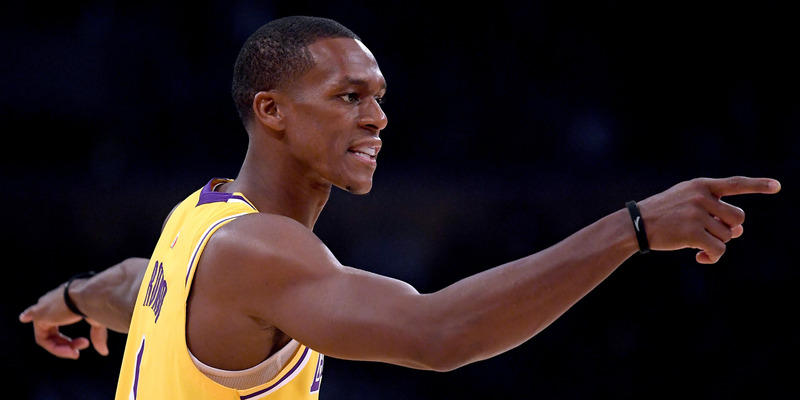 Rondo called Paul a “horrible teammate” and denied spitting on him while involved in the brawl that broke out between the Rockets and Lakers on Saturday. Rondo is currently serving a three-game suspension due to the brawl. Rajon Rondo is currently serving a three-game suspension for his involvement in the brawl that broke out during the final minutes of the Lakers-Rockets game on Saturday night. But while the dust from the brawl has now settled, it’s clear that Rondo is not yet over the altercation. Speaking with ESPN, Rondo bluntly criticised Chris Paul several times, calling him out as a “horrible teammate” and flatly denying that he intentionally spit in Paul’s face, escalating their conflict on the court. Rondo began with his denial of SpitGate, claiming that had something so dramatic taken place, others would have reacted more strongly. From there, Rondo went on to criticise Paul directly, arguing that the media was too quick to side with him. “Everyone wants to believe Chris Paul is a good guy. They don’t know he’s a horrible teammate. They don’t know how he treats people. Look at what he did last year when he was in LA; trying to get to the Clippers locker room. They don’t want to believe he’s capable of taunting and igniting an incident. Rondo’s adamant denial aside, it is tough to argue against the video evidence. While Rondo still seems frustrated with how the league handled the situation, many believe that his suspension was shorter than expected given his involvement in the brawl. With tensions still high, the next matchup between the Lakers and Rockets set for December 13 will be a must-see.